Looking back at the past twenty years in the world of information. I was lucky enough to be a delegate at the first ever ILI in 1999. As we prepare to mark ILI's 20th anniversary next week, I've been reflecting on how much has happened in the information world in the intervening 20 years. When ILI began in 1999, the first dot com bubble was in full swing. Google, of course, has also just celebrated its twentieth birthday but neither Google nor Amazon were the global giants they are today. That year, SMS texting was just starting to take off, and ‘wifi’ was listed for the first time in the Oxford English Dictionary. Ubiquitous social media, Wikipedia, smart phones and tablets were several years away, and open access was yet to become a reality. 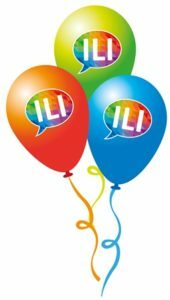 With hindsight, the mid-aughts were remarkable: between 2004 and 2007 we saw the launch of YouTube, Twitter, the iPad, Kindle and iPhone – just in time for ILI’s 10th birthday in 2008. All of those developments – and the impact they were having on the information landscape – were of course discussed at ILI. But when I think back over the years, ILI has never just been about the technology. The focus has always been on the many ways in which libraries and info pros from all sectors have created ground-breaking and imaginative services that deliver real impact to their organisations and their users. And I'm pleased to say that that’s what we’ll be celebrating this year. In addition, there are informal activities for all at ILI Extra, including one hour mini-workshops on digital inductions and digital interactive writing, a pop-up ‘Glass Room’ workshop and Data Detox bar, an interactive treasure hunt, live podcasting, and an invitation-only workshop specially designed to give new info pros the chance to join in with the ILI experience. So, while much has changed since the first ILI conference, my abiding memory of the first twenty years is the excitement of seeing so many inspiring and transformative projects showcased at the conference. I can't wait to join in again as ILI delegates share more innovations this year, and into the future. To register for ILI, click here. 40% multi delegate discounts apply.